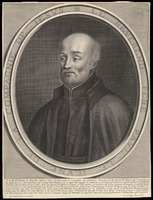 RAGUENEAU, PAUL, priest, Jesuit, missionary, superior of the Huron mission (1645–50), superior of the Jesuits in Canada (1650–3), procurator of the Canadian mission in Paris; b. 18 March 1608 in Paris, son of Pierre Ragueneau and Marie Houset; d. 3 Sept. 1680 in the same city. 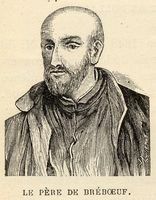 Father Paul Ragueneau has at times been confused with his brother François, likewise a Jesuit, who was baptized at Blois on 14 Jan. 1598. Father François had been named to accompany Father Charles Lalemant, who was returning to Canada in 1628. The two Jesuits and three Recollets left Dieppe on 8 May 1628 in the ship commanded by Claude Roquemont de Brison in the name of the Compagnie des Cent-Associés. Two months later, at the mouth of the St. Lawrence, Roquemont was obliged to surrender to the Kirke brothers. 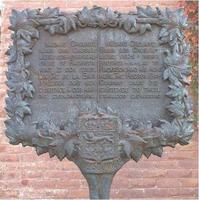 The two Jesuits were taken prisoner, transported to England, and sent from that country to Belgium. On his return to France Father François Ragueneau taught in Jesuit colleges and was even rector at Bourges. To the very end of his life he continued to interest himself in the Canadian mission, although it is not possible to state positively that he ever visited it. But one may assume that he conveyed his great missionary ideal to his brother Paul. Paul Ragueneau entered the Paris noviciate on 21 Aug. 1626. From 1628 to 1632 he was a teacher at the Collège in Bourges, where for a period of three years the “Grand Condé” was one of his pupils. He studied theology at La Flèche from 1632 to 1636. On 28 June of the latter year he was at Quebec, and in 1637 he went on to the Huron country. The epidemic was then at the height of its violence; the missionaries were held responsible, and their death had been decreed. The famous testamentary letter of Jean de Brébeuf is dated 28 Oct. 1637 and is countersigned by Paul Ragueneau. After having been the subordinate of Jean de Brébeuf and Jérôme Lalemant for eight years, Father Ragueneau became superior of the Huron mission in 1645. We owe to him the “Relations des Hurons” for 1646, 1647, 1648; that of 1649, which recounts the destruction of the mission and the martyrdom of Fathers Brébeuf and Gabriel Lalemant; and that of 1650, which describes the ardours of the winter spent at Île Saint-Joseph (Christian Island) and the emigration and resettlement of the Hurons under the protection of the fort at Quebec. Being of superior mentality, Father Ragueneau was amenable to the lessons of experience. In 1648 he wrote: “Had I to give counsel to those who commence to labor for the conversion of the Savages, I would willingly say a word of advice to them, which experience will, I think, make them acknowledge to be more important than it seems at first sight, namely: that one must be very careful before condemning a thousand things among their customs, which greatly offend minds brought up and nourished in another world. It is easy to call irreligion what is merely stupidity, and to take for diabolical working something that is nothing more than human; and then, one thinks he is obliged to forbid as impious certain things that are done in all innocence, or, at most, are silly, but not criminal customs. These could be abolished more gently, and I may say more efficaciously, by inducing the Savages themselves gradually to find out their absurdity, to laugh at them, and to abandon them – not through motives of conscience, as if they were crimes, but through their own judgment and knowledge, as follies. It is difficult to see everything in one day, and time is the most faithful instructor that one can consult.” He recognized that the uncompromising attitude of the early missionaries was perhaps necessary in their time, but was no longer appropriate in his. As superior of the Huron mission, Father Ragueneau had some major decisions to make in 1649 and 1650. The 300 or so Hurons who had escaped death or captivity and who had not fled saw their only salvation in the presence of the missionaries among them. But where should they go, for the situation at Sainte-Marie was untenable, the Iroquois being still on the warpath? Acceding to the wishes of the chiefs, Father Ragueneau decided to take up residence, along with his fellow-missionaries and servants, on the newly chosen site of the Île Saint-Joseph or Sainte-Marie II, now called Christian Island, in Georgian Bay. But before they left, another decision had to be made, and what a heart-breaking one for Father Ragueneau: the destruction of the Sainte-Marie residence and fort. He wrote: “That spot must be forsaken, which I may call our second Fatherland, our home of innocent delights, since it had been the cradle of this Christian church; since it was the temple of God, and the home of the servants of Jesus Christ. Moreover, for fear that our enemies, only too wicked, should profane the sacred place, and derive from it an advantage, we ourselves set fire to it, and beheld burn before our eyes, in less than one hour, our work of nine or ten years.” This was on 14 June 1649. A year later famine and Iroquois forays made another move necessary. At the request of the tribal chiefs, Father Ragueneau supervised the exodus to Quebec of the remnants of the Huron nation. The mission in Huronia had had its day. It was to survive in the hearts of its children who were seeking the protection of the fort at Quebec; and the numerous Hurons captured by the Iroquois were to give further proof that Father Ragueneau and his confrères had not toiled in vain. 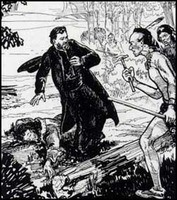 As superior of the Canadian Jesuits, Father Ragueneau gave the initial impulse to the cause of canonization of the holy Canadian martyrs. On 21 March 1649, he had presided at the funerals of Brébeuf and of Gabriel Lalemant and had laid their bodies to rest beneath the chapel of the Sainte-Marie residence. He had caused to be placed in Brébeuf’s grave a lead plaque inscribed with the name of the missionary and the date of his death at the hands of the Iroquois; this plaque was unearthed in 1954. In the 1649 Relation, Father Ragueneau had implied, but without anticipating the judgement of the Church, that Brébeuf and Gabriel Lalemant were martyrs in the canonical sense of the term. 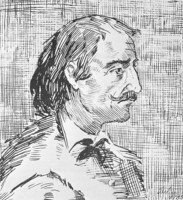 In 1650, before the final abandonment of Huronia, he had had the bodies taken up, and in his Récit véritable Brother Christophe Regnault informs us that the flesh was burned and the bones transported to Quebec. In 1652 Father Ragueneau undertook the collection of documents for the glorification not only of his two confrères in Huronia but also of the other missionaries in New France whom public opinion considered to be martyrs. This is the “Manuscrit de 1652,” of which the original is preserved in the archives of the Collège Sainte-Marie in Montreal. It is undoubtedly an official and canonical document. There is no other explanation of the fact that the witnesses gave their testimony under oath and that Father Ragueneau confirmed it all in his capacity as superior of the Canadian Jesuits. In this respect, as in several others, Father Ragueneau was ahead of his time. Less thought was given then than now to the glorification of those who had shed their blood for the faith or who had provided an example of great saintliness. All Father Ragueneau’s confrères gave the same worship as he did to the missionaries who had died because of their zeal or their charity. But he alone thought that they would one day be canonized, and the “Manuscrit de 1652” prepared the way for the inquiries preceding canonization. In 1656, Father Ragueneau was assigned to the residence at Trois-Rivières. The Journal des Jésuites informs us also that on 22 June 1657 he left for Sainte-Marie-de-Ganentaa. 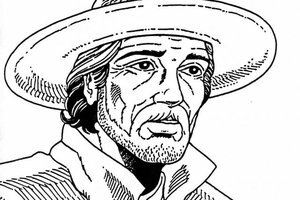 He lived through the tragic times that brought about the departure of Fathers P.-J.-M. Chaumonot, Simon Le Moyne, and other missionaries, and marked the failure of this first attempt at an organized apostolate among the Iroquois. Our account of it comes from him. Father Ragueneau does not appear to have enjoyed the confidence of Governor Pierre de Voyer* d’Argenson. But the latter’s successor, Pierre Dubois Davaugour, had barely arrived at Quebec when he appealed to Ragueneau’s good offices. 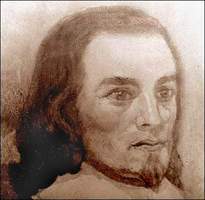 He made the Jesuit chairman of a council that deliberated “every day on public affairs.” In a letter dated 12 Oct. 1661 Father Ragueneau requested the “Grand Condé,” his former pupil at Bourges, to employ his influence to secure the sending of troops to Canada, the only method of putting an end to the Iroquois threat. On 12 Aug. 1662 he left for France, in order to plead in person the same cause. He was never to return to Canada. 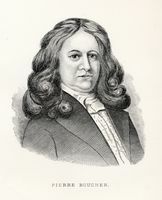 At the suggestion of Bishop François de Laval*, who held him in high esteem, Father Ragueneau composed, and published at Florentin Lambert’s in Paris in 1671, a Vie of the great mystic of the Hôtel-Dieu at Quebec, Catherine Simon de Longpré, dite de Saint-Augustin; this became a document of the utmost importance in the cause of beatification of that servant of God. Father Ragueneau passed away at Paris on 3 Sept. 1680, at 72 years of age. ACSM, “Mémoires touchant la mort et les vertus des pères Isaac Jogues . . .” (Ragueneau), repr. APQ Rapport, 1924–25, 3–93. Archives du Séminaire de Nicolet, Fonds Bois, La vie du P. Paul Ragueneau, de la Compagnie de Jésus, missionnaire du Canada. Et le recueil des réponses qu’il a faites sur les plus difficiles matières de la vie spirituelle. [The “Vie” (46pp.) is not at all complete, retaining only the essential facts contributing to a better understanding of the spiritual director. The author, who has not yet been positively identified, lived in Canada. He was a friend and admirer of Father Ragueneau; he notes the great esteem in which this missionary was held by Mgr de Laval; he has read Father Louis Lallemant’s Doctrine spirituelle, which was first published in 1694. The existence of this MS in the Fonds Bois leads one to believe that it was written in Canada by a missionary who had had in his possession letters addressed by Father Ragueneau to the religious of the country. L.P.] ASQ, MSS, 43, “Etude sur les Relations des Jésuites,” par Félix Martin. JR (Thwaites), passim. JJ (Laverdière et Casgrain). [Louis Lallemant], La vie et la doctrine spirituelle du père Louis Lallemant . . . , éd. François Courel (Collection Christus, III, Paris, 1959). Paul Ragueneau, La vie de Mère Catherine de Saint-Augustin (Paris, 1671). E. R. Adair, “France and the beginnings of New France,” CHR, XXV (1944), 246–78. Campbell, Pioneer priests, I, 141–57. A. E. Jones, “ ‘ȣendake Ehen’ or Old Huronia,” PAO Annual Report, V (1908). Rochemonteix, Les Jésuites et la Nouvelle-France au XVIIe siècle, I, II. Arch. Municipales, Blois, France, “Reg. paroissiaux et d’état civil,” Saint-Solenne, 14 janv. 1598: archives.blois.fr/article.php?larub=56 (consulted 15 Nov. 2018). Léon Pouliot, “RAGUENEAU, PAUL,” in Dictionary of Canadian Biography, vol. 1, University of Toronto/Université Laval, 2003–, accessed April 24, 2019, http://www.biographi.ca/en/bio/ragueneau_paul_1E.html.